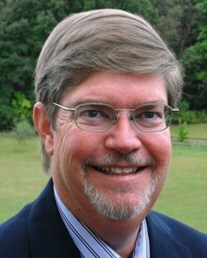 Steven R. Hemler is President of the Catholic Apologetics Institute of North America (CAINA) and author of The Reality of God: The Layman’s Guide to Scientific Evidence for the Creator and Search No More: The Keys to Truth and Happiness, both published by St. Benedict Press and TAN Books. Steve has a Master of Pastoral Studies degree from Loyola University of Chicago, as well as Bachelor’s and Master’s degrees in Civil/Structural Engineering from Virginia Tech. He also has a Certificate in the Catechism of the Catholic Church from Catholic Distance University (see www.cdu.edu) and a Certificate in Advanced Youth Ministry Studies from the Center for Ministry Development. Steve is also certified as an Advanced Catechist by the Catholic Diocese of Arlington, Virginia, is VIRTUS trained and certified, serves as Vice President of the Catechetical Leaders of the Diocese of Arlington (CLDA), and is an approved speaker on the official diocesan Speaker’s Bureau. Steve has been actively involved in adolescent and adult religious education for over 30 years, including developing and teaching several 3-week-long online apologetics seminars for the Certificate in Apologetics offered by Catholic Distance University (CDU). After a 33-year professional engineering career, including 13 years in the Middle East, Steve took early retirement in 2011 to follow a calling to serve God and the Church full time. Steve and his wife Linda have been married for over 40 years and have three grown children. They live in Culpeper, Virginia, and are active at Precious Blood Catholic Church, where Steve serves as the Coordinator of Christian Initiation and Adult Faith Formation. CAINA’s multimedia presentations focus on strengthening faith and equipping Catholics to better explain and share WHY we believe what we do in our increasingly secular society. To-date, Steve has given CAINA’s well-received presentations over two hundred times at dozens of locations in the Catholic Diocese of Arlington, Diocese of Richmond, Diocese of Pittsburgh, Diocese of Harrisburg, Diocese of Nashville, Diocese of Knoxville, Diocese of Covington (KY), Diocese of Charlotte, Diocese of Charleston (SC), Diocese of Orlando, Archdiocese of Louisville, Archdiocese of Baltimore, and Archdiocese of Washington (DC). Steve has been on TV discussing religion and science on EWTN LIVE and on the Catholic Community Television Network (CCTN). He has also appeared on several popular Catholic radio shows, including The Jennifer Fulwiler Show, Seize the Day with Gus Lloyd, the Busted Halo Show with Fr. Dave Dwyer, The Drew Mariani Show, the Son Rise Morning Show with Matt Swaim, Meet the Author with Ken Huck, Faithworks with Dr. Matthew Bunson, Teresa Tomeo’s Catholic Connection, Jon Leonetti in the Morning, Wake Up! on Catholic Community Radio, Off the Shelf with Pete Socks on Breadbox Media, The UnCommon Good with Bo Bonner and Dr. Bud Marr on Iowa Catholic Radio, and The Kyle Heimann Show on Redeemer Radio. Steve’s articles have been published in several leading Catholic and secular magazines, including America, Liguorian, and National Review. He also writes the “Life’s Little Learnings” column for the Holy Spirit Interactive website, as well as writing for Catholic365.com and StrangeNotions.com. The Catholic Apologetics Institute of North America (CAINA) does not have a fixed fee for speaking engagements, since we offer our presentations as a service to God and the Church and for the spiritual edification of attendees. In the spirit of this mission, CAINA will accept the hosting organization’s customary stipend for invited speakers (normally at least $100 per talk) to help defray operating expenses and have the means to reach a greater audience. Since team teaching is preferable, the initial session(s) in a series can be led by personnel from CAINA, with follow-up and ongoing sessions conducted by local priests, teachers, and/or other knowledgeable laypersons. CAINA emphasizes and will implement a teach-the-teacher approach as desired.